Earlier this year Jumeirah Restaurant Group announced that it was banning plastic across all operations, while Starbucks recently announced that all UAE outlets would be free of plastic straws by 2020. This week homegrown Dubai brand Zero Gravity also announced that it would be banning single use plastic at the venue. The Dubai Marina based club and restaurant currently uses 729,600 straws, 43,200 plastic cutleries and 40,800 plates each year, which it plans to reduce to zero. 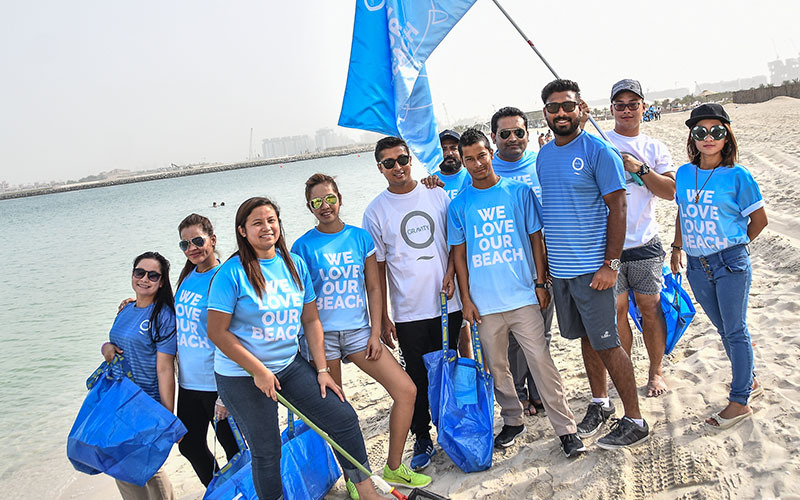 In a further effort to support the local environment, the venue will also be launching a “We Love Our Beach” clean up the first Sunday of every month, starting on 5th August. Details: For more information, visit Zero Gravity . To join the Zero Gravity team for the beach clean, email weloveourbeach@0-gravity.ae. If you enjoyed this article, you may like this story on free beach access on Palm Jumeirah.